For the last 6 years Val has served as a Director-at-Large on the ACS Board. Please cast one of your votes for Val in the upcoming national election and allow her to continue to serve the needs of ACS members. For over 35+ years Val has been active in the Society at the national, regional, and local levels. Val has helped hundreds of unemployed members and students prepare effective resumes, develop answers to commonly asked interview questions, and conduct a successful job search. Val urged Chemical Abstracts Service and the Publication's Division to collaborate in developing new and better services for our members. Several new efforts were just launched. Val is a co-originator of two well attended national meeting events, SciMix and the Town Hall Meeting. Val pushed for expanding the ways that the Society reaches out to graduate students and post-docs. 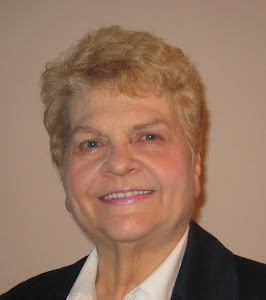 For more than eighteen years, Val has chaired the North Jersey Section’s National Chemistry Week activities. Val organized and chaired two special Presidential Symposia on late breaking scientific findings that drew thousands of attendees and paved the way for significant findings to be presented as quickly as possible at national meetings. Due to Val's efforts, SciFinder is now available free of charge to the recently unemployed. Val has been a strong supporter of Presentations on Demand that allows individuals to hear the talks presented at national meetings. Val is working to increase the nomination and selection of individuals from groups that are currently under-represented in ACS national awards. She has sought to increase the diversity on national committees, in local section leadership, and on the slates for President-Elect and the Board of Directors. Val help to develop the protocol for implementing electronic balloting: making it easier for more members to participate in elections.